Trump's election was met with an insistent demand on the part of those who opposed him, a demand not to "normalize" his election and his presidency. The use of this term "normalize" is curious and telling. The word is not legitimize, although one could argue that the debates about the Electoral College and the popular vote, were in some sense debates about the nature, and limits, of democratic legitimacy. Or, more to the point, the legitimacy of what counts as democratic legitimacy in the US. The word "normalize" suggests something different, something broader and more inchoate than legimitacy, less a matter of constitutional checks and balances than a prevailing sentiment or structure of feeling. In some sense the slogan draws off of the existing opposition to Trump, the inability of many to see him as anything other than a crude narcissist more befitting the world of reality TV than Realpolitik, and demanding to extend the protests and jokes into opposition. It is a politics of a affect, the attempt to make a prevailing sensibility into a politics. In some sense this project was doomed to fail, and bit by bit the supposed opposition fell in line. Obama met with Trump, just as we knew he would, and everything was oriented towards the smooth transition of power. At the level of media things were even worse, driven by the allure of access and a fallacious line of reasoning that sees "two sides" to every issue no matter what the facts or evidence suggests the media began to embrace the logic and terms of Trump's position. Narrative trumped evidence and the story began to crystalize around a forgotten white working class whose concerns where legitimate although unfortunately worded. This is all familiar and well known, taking advantage of the odd and poorly defined nature of the word "normalize" I would suggest that Trump was in some sense already normalized at the level of affects. Although I do not want to attach too much importance to the term affective normalization, or make it a thing, I was struck by this idea in reading Lordon's latest. 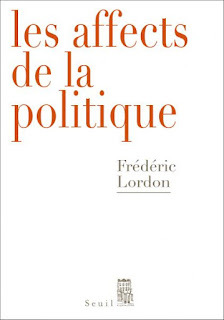 Lordon is critical of the term "legitimacy", seeing it, like other words like consent, to be as much as a metaphysical problem as a political one. Legitimacy rests on a metaphysics of rational beings functioning as kingdoms within a kingdom, whose decisions and will ultimately justifies the actual kingdom. Lordon thinks that it is better to think in terms of what is viable than what is legitimate, what rulers and states are capable of doing is whatever they can get away with. Its limit is not the dictates of reason, but the affects that constitute the basis of the political and social body, its particular ingenium. Here, once again, Trump is useful. Trump's entire campaign was one in which legitimacy was constantly thwarted, the rules, whether they be of political campaigns, the tax returns, or of social relations, the Access Hollywood tapes, were constantly thwarted. Many of these rules existed only in the head of political pundits, and turned out to be of no matter to most of the population. Trump demonstrated that "conventions without the sword (or vote) are but words," revealing the impotence of the received truths of political campaigns, truths that had no affective investments outside the few reporters who get excited about tax returns. This was only possible if Trump could tap into other fears, fears of economic marginalization, and other angers, anger at lost racial superiority. Unlike the conventions of existing democratic politics, such as releasing tax returns and not tweeting insults at beauty pageant contest at three in the morning, these fears and angers are widely and deeply felt. As Spinoza argued, a society is held together by its hopes and its fears, by its love and its hates, not its arguments and principles, and whether it be by accident or design Trump has been able to mobilize these hates and fears. Less this seem like one more "hot take" in which Trump has revealed the darkness at the heart of America, Lordon's concept of the affects of politics raises another point with respect to Trump. One of the fundamental propositions with respect to the affects in Spinoza is "Given an equal cause of love, love toward a thing will be greater if we imagine the thing to be free than if we imagine it to be necessary. And similarly for hate" (EIIIP49). That which is considered necessary is less passionately loved or hated than that which is seen as freely chosen, as intended. 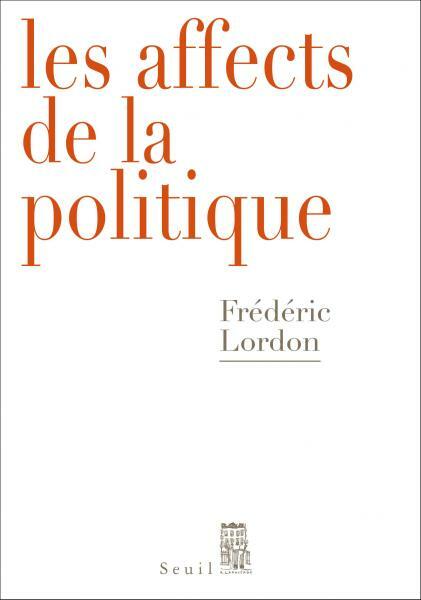 As Lordon argues, austerity measures, cuts to programs, and the general immiseration of post-industrial life is presented as necessary, as simply dictated by the market, by competitiveness, by globalizations, words that function as different synonyms for necessity. They can be bemoaned, but not really hated. They do not generate indignation. The divide between economics and politics, and to some extent right, at least the neoliberal right, and left, at least the remaining forces of social democracy, is a divide between necessity and freedom. Which is one is passively accepted and the other becomes the object of hate and anger. I do not want to sound like Zizek, but Trump has broken with this divide. The picture he presents of the world economy, at least as one can glimpse it from one hundred and forty character bursts, is one of "stupid people making bad deals." That is his explanation for deindustrialization, for the loss of manufacturing and mining jobs. The corollary of this is the promise to make smart deals, to restore America's Greatness. He has shifted the economy from necessity to freedom, from the worker stuck in its forces to the entrepreneur mastering its flows. This is his affective power. This is a fiction, there are no "deals"that can reverse the prevailing economic tendencies of automation and deindustrialization. ( A lengthier post would discuss the tendency of the rate of the profit to fall.). Trump's promises are empty, there are no better deals within the current economic system. The fundamental question of the politics of affect in the coming years will be how to deal with the anger and fear that Trump cannot contain. There will be attempts to turn the anger and fear towards imagined obstacles from Alec Baldwin to immigrants. Trump has made himself the face of capital, has made a career personifying it. That is his promise but also his peril (as well as our promise and our peril).